We were candle lovers long before we were candle makers. We would always light up a candle at the end of a work day and let it work its magic. The scent of a candle can change the mood of any room, the aroma combined with the flicker of the flame creates a very relaxed environment. If you're lucky, you'll find a scent that evokes a wonderful memory. The first candles we made were votives made from the melted remains of one of our favorite scents. Soon, we experimented with making our very own candles. We shared them with our friends, all candle lovers, and received great reviews. Now we offer our candles to everyone. Each candle is intended to honor our country by using only American products, sharing a tale of our history, and by supporting our veterans. 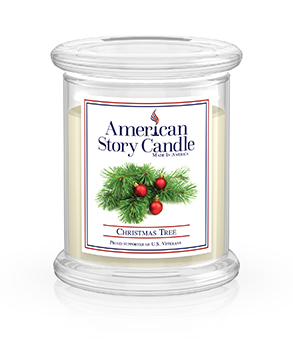 Order today and join the American Story Candle family! 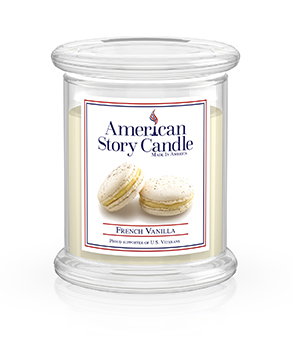 Let your story be featured on an American Story Candle. 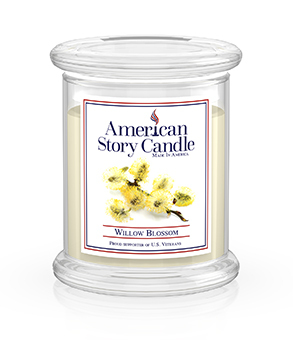 We can personalize your candles with a special story from your own life. Adding a photo gives you a one of a kind momento to share with your guests. These can be unique favors for weddings, a bridal or baby showers, anniversaries or even corporate gifts. A candle can be customized for any occasion or event, either personal or business related.